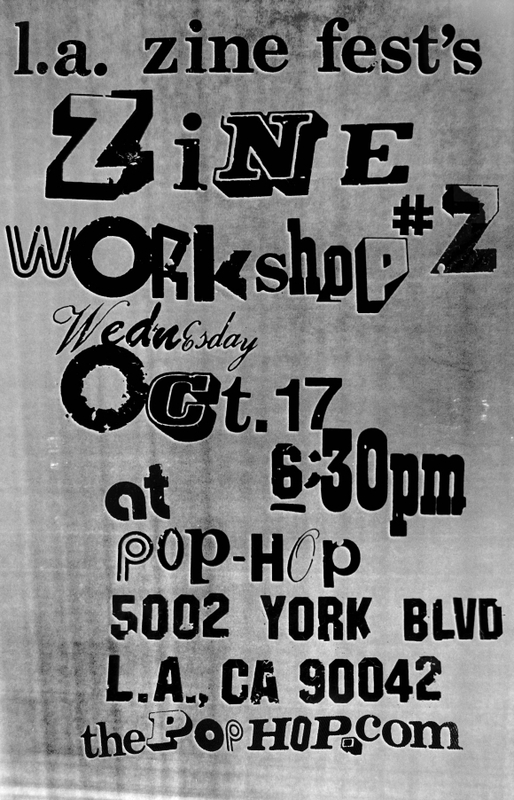 This Wednesday’s workshop will feature a brief history of (zine and self-publishing) time, wizardry performed upon an 11 x 17″ paper that allows it to become a small booklet, and then a slight creative nudge that will help you not only complete a zine, but make a friend! How? I can’t tell you. I can only show you. < October 13th-Local Author, Francesca Lia Block Reading, Signing and Zine Workshop!